It’s Spring time and it is about time to do a little clean up in the wardrobe department. I selected this look because I am huge fan when it comes to light shades of blue. Pinstripes are a great way to add an assertive touch but you can soften it with a solid or “barely solid” piece. It looks just right to have a lighter color top and a darker bottom which is easy on the eyes and more appealing. Then top it off with monochrome sandals to match the Spring time. Not all of us have the budget to take on a hefty price tag, but you can always look for more affordable brands to achieve the same look. But if you can, go for it! So get the look! 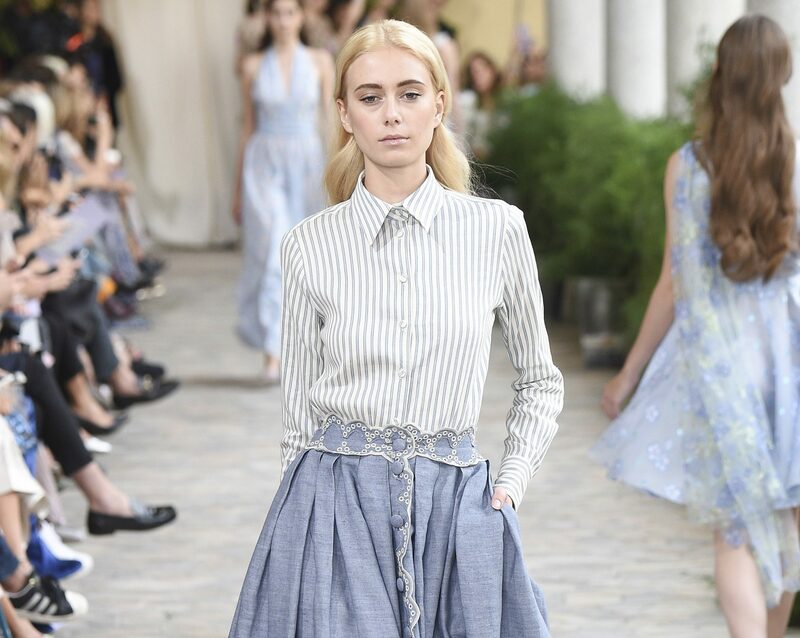 Model wearing Luisa Beccaria, Spring 2017 Ready-to-Wear sporting a pinstriped button down shirt paired with a chiffon maxi shirt and finishing the look with trendy slider sandals.